· For your arrival, fresh island flowers & 'starter' supply of liquid soap, two rolls toilet paper, tissues, two paper towel rolls, trash bags, and dishwashing liquid. 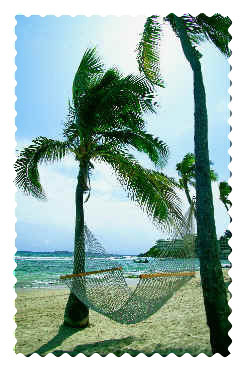 · Beach Towels, portable fold-up chairs and small cooler to carry with you during your stay are provided. · A housekeeping service available upon request for stays of more than 10 nts. · 53' Catamaran (Heavenly Days) takes off from Bolongo beach to Honeymoon Beach, St. John for a day of snorkeling, or into the harbor at sunset. 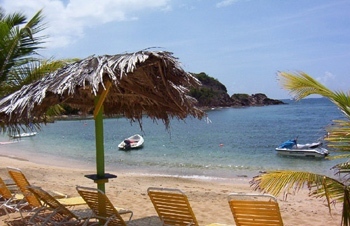 St. Thomas offers a myriad of activities for all to enjoy. 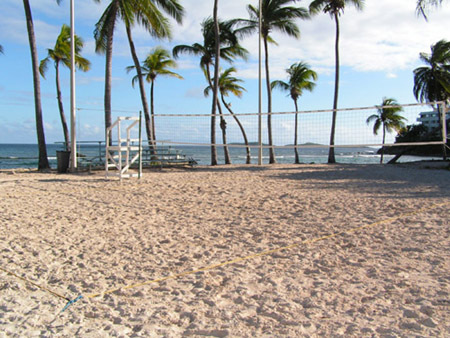 At our onsite beach are Watersport Rentals, Kayaking/Sailing/Boating, Catamaran Cruises, Dive Shop, Swimming, Snorkeling, Beach Volleyball, Tennis, Basketball, three Restaurants with theme nights, Lounge Chairs, and Hammocks for relaxing under coconut palms, and much more . . . Shopping and more beautiful beaches nearby. 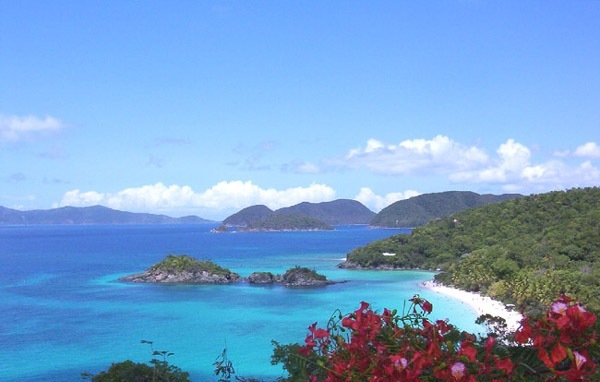 St. John is a must see, and is only a short ferry ride via person or car ferry from Red Hook, St. Thomas (within 10 minutes drive of the condo). 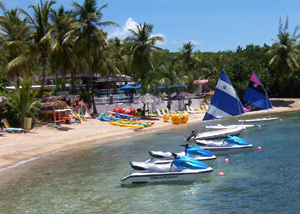 British Virgin Islands (BVI's) are also within day sail or ferry distance. 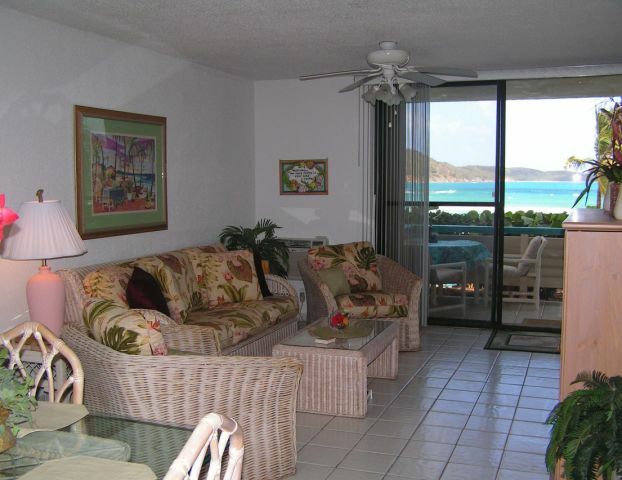 Additional island activity and dining information is provided to guests who reserve one of our condos to assist with planning a wonderful vacation to the US Virgin Islands.